Okay, so, I love hot drinks. From Hot Cocoa to Hazelnut Lattes. And, I happen to have a few friends who share in my indulgence. But Chai Tea mixes are often hit or miss. Chai tea recipes differ a lot. Some are too spicy for my liking, others don’t have enough chai “punch”. So, after checking out Betsy’s recipe on DIY Natural, I decided to make my own batch! The results are so amazing. No more cold concentrate to mix with milk, or spicy tea bags to flood with creamer. Simply pour the hot water, mix in the mix, and add a black tea bag. And yes, that means you can customize every day with your favorite black tea blend. Heaven. So let’s get right to it. This recipe is super easy, but it has a lot of ingredients. Try checking out your local organic store, Indian spice market, or even the internet for low cost, fresh versions of the spices involved. I was able to get ground cardamom (one of the pricier spices) for $1 at an Indian market in town. Perfect! 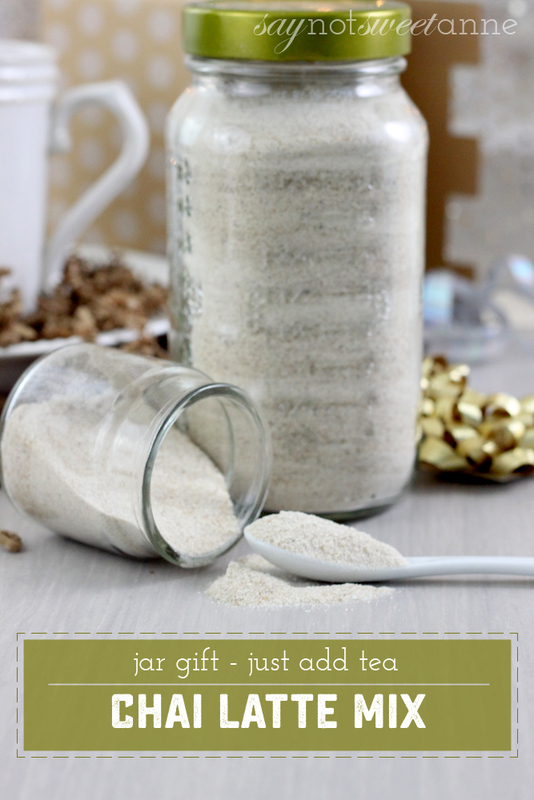 Also, adding some beautiful labels (you can check out the templates from my DIY Seasoned Salt Post) and a pretty jar make this recipes totally gift-able. In fact, I would love to get something like this during the cold winter months. 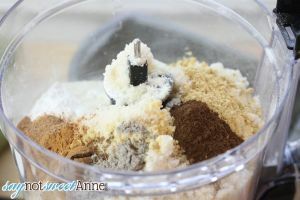 Add all ingredients except granulated sugar and vanilla into a food processor, spice grinder, or something that is good with powdered substances. 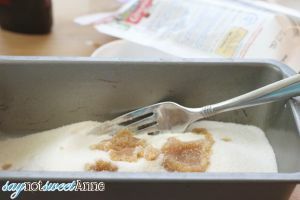 In a deep dish, add vanilla to sugar. 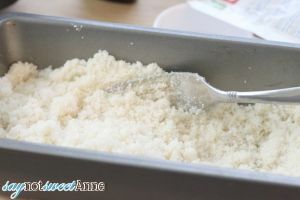 Mix and smash together until vanilla is well distributed and the mix is just barely moist. Add vanilla/sugar mix into your processor. 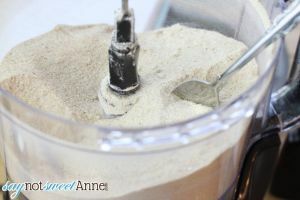 Blend for a minimum of 6 minutes on high, in 2 minute intervals. Scrape the bowl between intervals (and let your machine rest if it is getting warm) This helps to make a fine powder, rather than a clumpy mess. Sift through a fine mesh into a jar (this caught some sugar clumps and a couple poorly ground spices for me) and store in a cool dry place. To use, add 1-2 tbs of mix into your hot water with a black tea bag of your choice. Let steep and enjoy! I love this idea, GREAT JOB!! ha! nice one! I love chai and going to make this for myself 🙂 thanks for sharing! This is a great idea! Of course, I will customize mine with just a bit more cardamom – my favorite spice right now. This would make great gifts – just put in a basket with a box of black tea and a couple of pretty mugs! Thanks for the inspiration! I love this idea! Can’t wait to try it – thanks for sharing! I hope you love it Lydia!! Has anyone tried this with a reduced amount of sugar? The main ingredients are sugar and milk (which contains it’s own sugars). Hey Kendra! I know it has been a while since you posted. 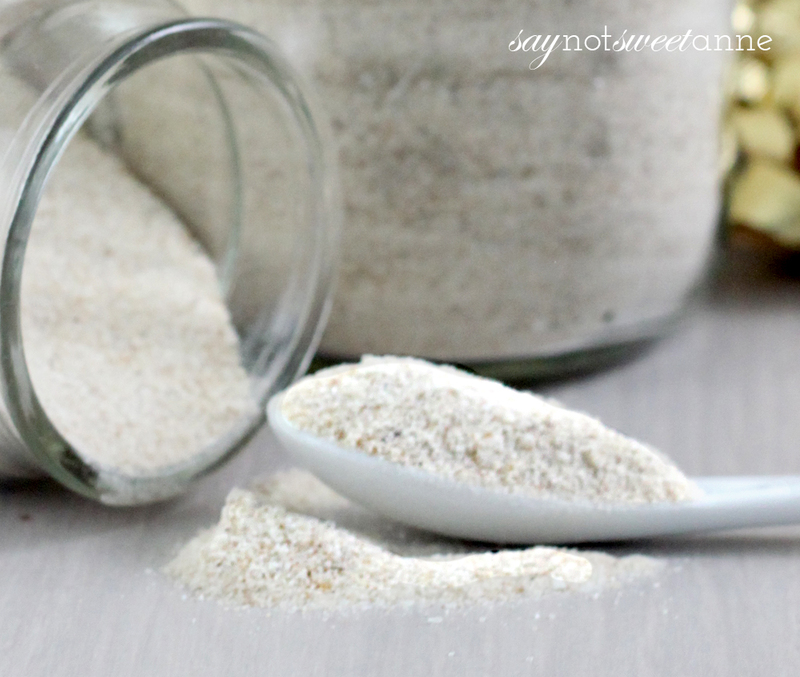 But I think you could do this same spice blend with less sugar or powdered milk (or both!). It would be more of a Chai Tea and less of a Chai Latte – but probably still yummy!